Home / Money and power / Politics / Refugees / Who finances ISIS? In the aftermath of its conquest of Mosul, the jihadi organization ISIS has been recognized as the richest terrorist organization in the world. Where does its money come from? During its conquest of the northern Iraqi city of Mosul, ISIS fighters looted more than 500 billion Iraqi Dinar, worth about $420 million (308 million euros) at current exchange rates. ISIS is a rebel army composed of Sunni jihadis that calls itself the “Islamic State of Iraq and greater Syria.” Its aim is to establish a theocratic Sunni caliphate in the region. Iraqi officials estimate that the group now has about $2 billion in its war chest. What remains controversial is where the bulk of its money comes from. Iraq’s Shiite-dominated government accuses Saudi Arabia of supporting the ISIS jihadis. 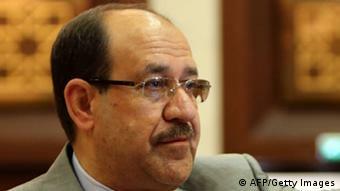 On Tuesday (17.06.2014), Iraqi Premier Nouri al-Maliki said “we hold Saudi Arabia responsible” for the financial and moral support given to ISIS. Money from the Gulf States? “There is no publicly accessible proof that the government of a state has been involved in the creation or financing of ISIS as an organisation,” said Charles Lister, Visiting Fellow at the Brookings Doha Center in Qatar, a subsidiary of the US think-tank Brookings Institution. Others take a different view. 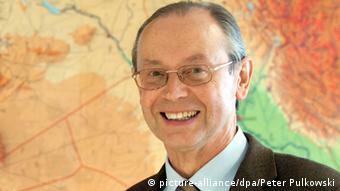 Günter Meyer is Director of the Center for Research into the Arabic World at the University of Mainz. Meyer says he has no doubt about where ISIS gets its funding. “The most important source of ISIS financing to date has been support coming out of the Gulf states, primarily Saudi Arabia but also Qatar, Kuwait and the United Arab Emirates,” Meyer told Deutsche Welle. The Gulf states’ motivation in financing groups like ISIS was to support their fight against the regime of President Bashar al Assad in Syria, according to Meyer. Three quarters of the Syrian population are Sunni Muslims, but Syria is ruled by an elite drawn mostly from the Alawite minority. The Alawites are an offshoot of Shiite Islam. Recently, however, the government of Saudi Arabia has recognized the dangers of this policy. 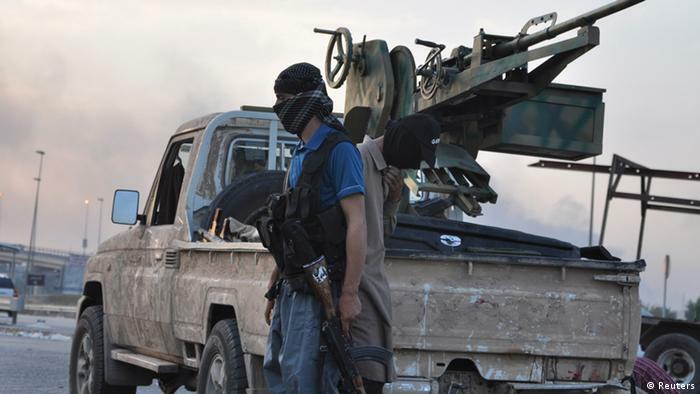 “Saudi citizens now compose the largest contingent of foreign fighters in ISIS. When those fighters come home, there’s a danger that they might turn against the Saudi regime,” Meyer said. But there are reasons to believe that financing for ISIS continues to flow out of Saudi Arabia, “less from the Saudi government than from rich Saudis”. The view of Charles Lister at the Brookings Doha Center is that ISIS is largely able to fund itself. “ISIS has made an effort to establish networks in society that generate a continuing flow of money.” As an example, Lister points to the systematic extortion conducted by ISIS in the recently conquered city of Mosul. Günter Meyer at the University of Mainz thinks there is no chance that money is flowing to ISIS from Sunni circles connected to the former dictator of Iraq, Saddam Hussein. The goals of ISIS are too different from those of people in Hussein’s network. Both groups want to topple the Shiite government of Iraq, but ISIS wants to establish an Islamic theocracy, whereas the Sunnis from Hussein’s Baath Party want to establish a secular democracy, says Meyer.